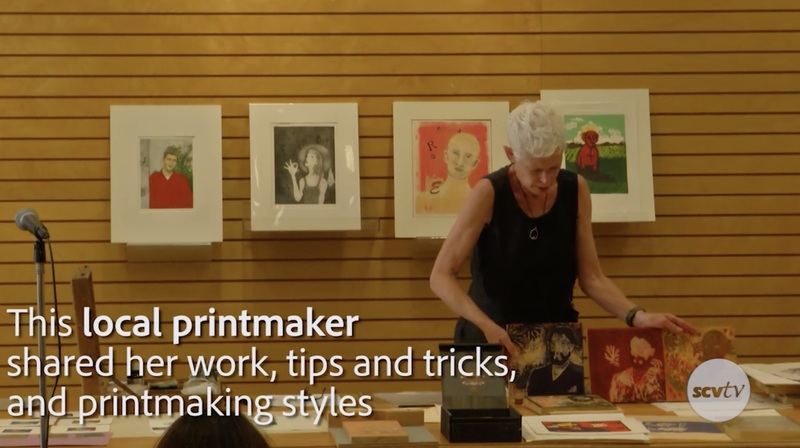 Lisa Doubleday Mott demonstrated and discussed different printmaking processes to attendees at the June Santa Clarita Artists’ Association meeting. Mott received her B.F.A. in Illustration at University of Arkansas at Little Rock. After some post baccalaureate work in Printmaking, she moved to Valencia, California in 1998 and began teaching art classes for elementary schools locally. She became an Instructional Lab Tech in the Art Department at College of the Canyons in 2001. SCAA meets monthly at Barnes & Noble on the third Monday of every month at 6:30 p.m.